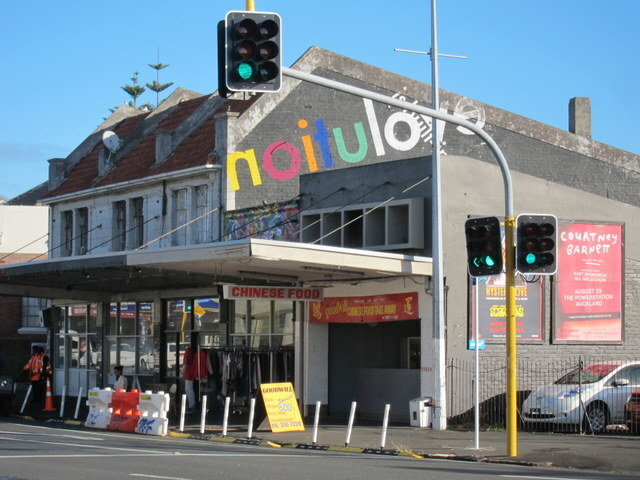 An excellent item on the NZ Herald website includes the lovely photo above by Rosalie Phillips for the Otaki News. We have many fond memories of Renée’s work –Wednesday to Come, one of her early plays, about women’s lives in Aotearoa during the 1930s depression, several of her novels, and her recent memoir, These Two Hands and others. We’ve also enjoyed hearing her speak and reading some of her blogs, and used her helpful document on how to write a personal memoir or autobiography. Renée ‘s staunch feminist perspective, in her work and in her own life, is deeply refreshing in an age and among media still dominated by so many simpering travesties of femaleness. So glad our Prime Minister is a strong woman- makes the award even more meaningful! Renée says she intends to keep writing until she can no longer put a hand on the keyboard! 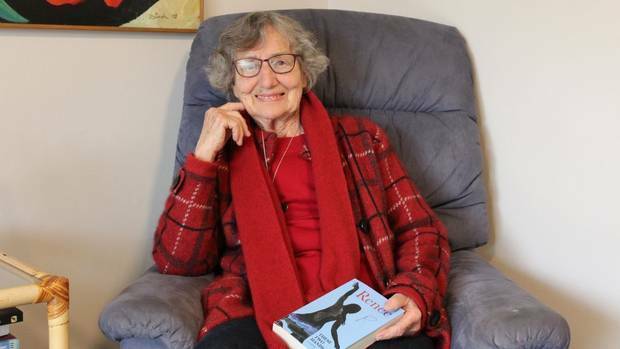 Lois Cox is another fine feminist – and we had the pleasure of hearing her talk about three of the oral history interviews she has recorded recently with lesbians in Aotearoa. She spoke at the Charlotte Museum one Sunday afternoon about these women, all of whom were identifying- more or less- as lesbians in the 1950s and 60s. Three very different stories; but all three self-accepting as lesbians now, at last, in these more enlightened times. Although one still feels the need to use a pseudonym, for professional reasons…. We are particularly grateful to Lois for some of the work she did earlier on lesbian herstory- in particular, for her documenting the story of our friend Annie who now has advanced dementia. Without Lois’s work we not be able to prompt Annie’s memory, as she kept different periods of her life and loves somewhat separate, and no one of us had the whole story. But the recorded interview is now in the Turnbull Library, and although embargoed until 2020, Lois has been able to send us the printed outline of dates, places and events. We cannot emphasise too strongly the importance of recording as many women’s lives as possible – the only way society can begin to achieve a more balanced story and understanding of human lives and of our nation and cultures over the years. The Auckland Women’s Centre hosted an excellent Maori women’s panel to talk about women’s suffrage and feminism from Maori perspectives. 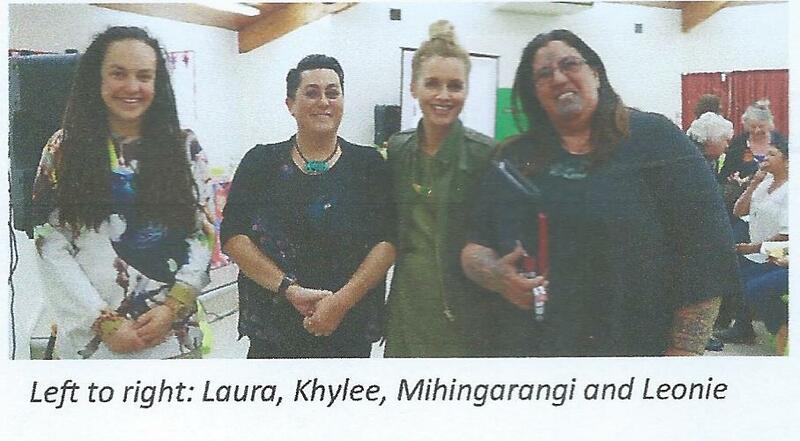 The four women were very different from each other: Professor Leonie Pihama from the University of Waikato, Khylee Quince, lawyer, and lecturer at AUT; Laura O’Connell Rapira, founder of Action Station, and chairing the panel, journalist and TV host Mihingarangi Forbes. What we know is that our tūpuna wāhine stood with their own mana, and that the struggle against the importation of colonial tools and systems has been something we have been actively engaged in for many generations. To celebrate the 125th Anniversary of the Suffrage movement is not unproblematic for Māori women as it remains a celebration of a struggle for involvement in what is fundamentally an imposed democratic system that continues to work against the interests of our people. What is important is that we reflect more critically not only on the processes by which our people came to vote, but that we look more deeply at how we came to have this system in place in the first place, and who really benefits from its ongoing reproduction. One of our biggest challenges in moving forward together , with our two Treaty partners and many tau iwi cultures able to work in harmony, is acknowledging differences and ensuring that the structures of our society support alternatives, rather than enshrining only one limiting set of possibilities. Structural racism and sexism are still endemic- we live largely within the confines of a colonial and colonising society.